Vs Stays is a gorgeous accommodation at DLF Phase 3 in Sector 24. DLF Phase III Rapid Metro Station, Sikanderpur Metro Station, and Guru Dronacharya Metro Station are just a few kilometers away from the accommodation. The rooms are elegantly designed with a private balcony to offer wonderful city views. 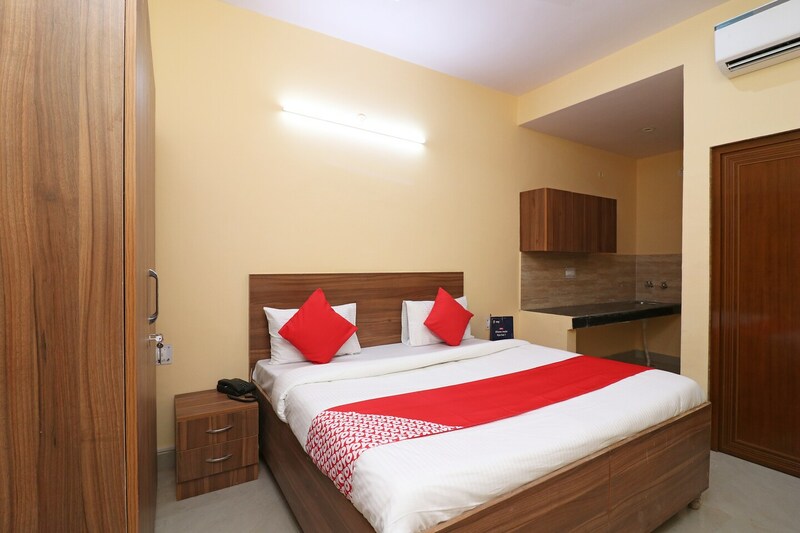 You can find amenities such as free Wi-Fi, king/queen/twin sized bed, AC, TV, power backup, mini fridge, seating area, hair dryer, and CCTV cameras in this accommodation. Delhi Chaap Express Restaurant, Dilli Zaika Restaurant, and Desi Urban Cafe are some of the modern restaurants in the close proximity.